uring Programme No. 2, 13 June until 19 July, 2009, exhibition “Dropping Furniture” by internationally renowned Austrian artists Harald Hund and Paul Horn at the Kim? 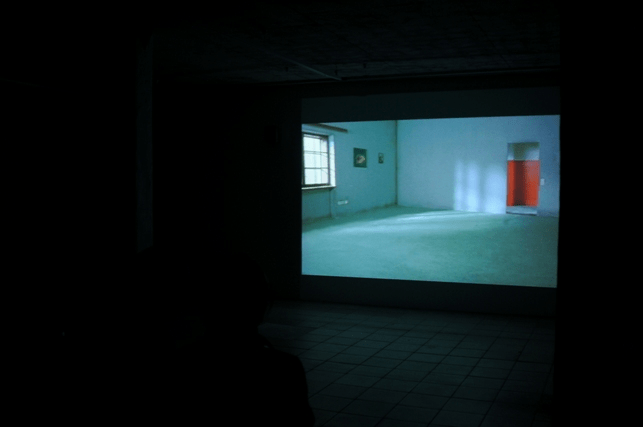 / RIXC Gallery displaying video installation “Dropping Furniture” (2008). Austrian artists Harald Hund and Paul Horn’s work “Dropping furniture” has been screened with great success in several important international video and film festivals. They include 13th Media Art Biennale WRO 09 (Wroclaw, Poland), 39th International Rotterdam Film Festival in the Netherlands. Both artists have been invited to participate in prestigious Honk Kong Film Festival in spring 2010, which is one of the most prestigions events of the kind in Asia. What remains when nothing more remains and life is literally turned upside down? Dropping Furniture begins by focusing on two empty rooms. Soft, barely audible sounds generate a subtle suspense. 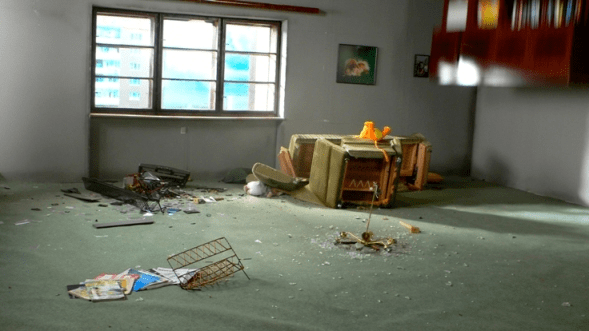 After a few seconds, when we have almost become accustomed to the seemingly existential emptiness of the apparently abandoned dwelling, two pieces of furniture fall from above the image frame, in slow motion into the back room. A chandelier follows, falling to the floor in the large front room, shattering as a start signal for choreography of destruction structured by two fixed camera takes. A sofa, reading lamp, and a chair with stuffed animals magically float down. The furniture of an obviously old-fashioned, middle-class living room is disposed of, smashing on the floor, orchestrated by an echoing sound track synchronized with the decelerated image. As the weighty, built-in closet is finally dashed to pieces, a telephone begins to ring in real time – a final indication of communication. The house plant and the aquarium that fall towardsthe end provide no clues as to the author or motivation of this ritual of termination. Yet there is an enigmatic point concealed here. On the one hand, we witness a release from the suffocating world of material possessions in an act of destructive liberation, along the lines of the cliché of the rock star tossing a TV out the window. On the other hand, this very wreckage is what engulfs the empty room once again, fills it with the spreading waste of its own history. In the end, after the fade to black, we imagine the sounds of further objects crashing to the ground: sounding like the rolling thunder of a cleansing storm.